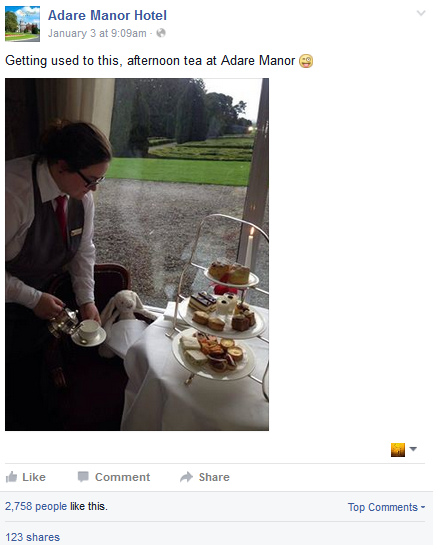 Are you a business struggling to find creative hotel social media content? 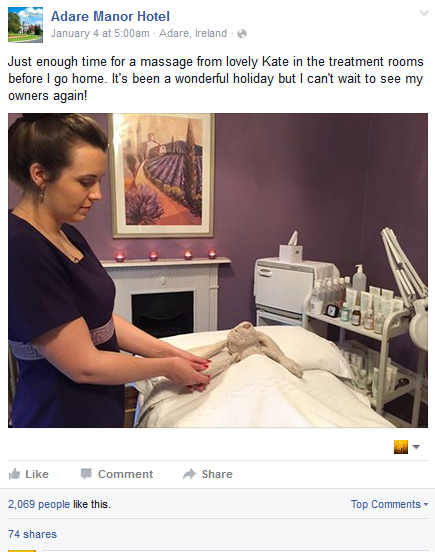 Do you find it difficult to talk about things other than your business online? Milestone suggests directly speaking about your business 20% of the time on social channels and 80% of the time post about things that can tie into your business, i.e. local events and seasonal items. If you are a local business owner, you’ll be surprised by how much content you have available to you everyday. Let’s take a look to see what creative social media content can do for your business. 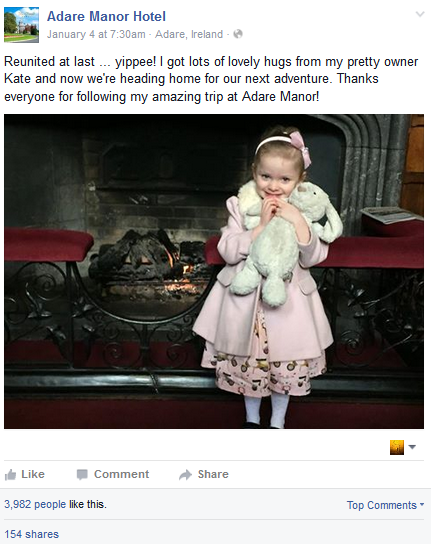 Recently Buzzfeed and ABC News picked up a story about Adare Manor Hotel in Ireland. Yes, two huge websites highlighted a hotel social media story to millions of people across the world for free. Talk about great publicity! So, what was the hotel story about? Did the hotel staff win the lottery, did someone save someone’s life, was the force with them? No. The social media sensation was based off of a lost and found item. 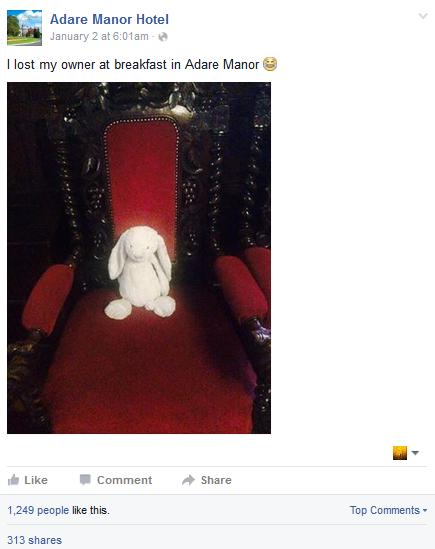 A bunny was left behind at the hotel and the hotel staff decided to creatively find it’s owner via Facebook. 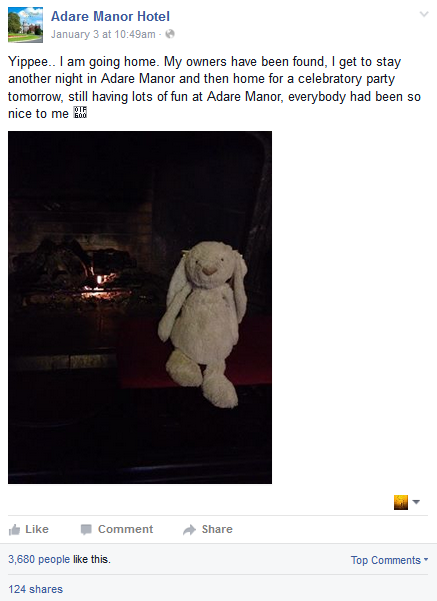 The hotel’s initial post received much higher shares than their usual content so they decided to document their mission of returning the bunny. 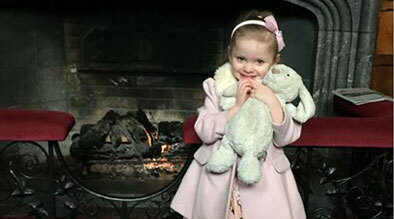 The bunny went on to enjoy a spa visit, afternoon tea, the concierge’s hospitality, and a luxurious bed before being reunited with it’s owner. For two days the hotel was able to capture a heartfelt story while highlighting their amenities and their hospitality to the world. 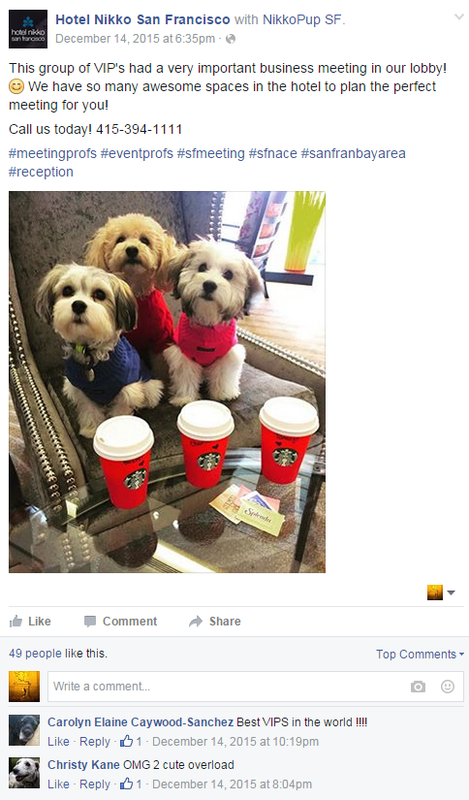 The creativity and spontaneity from the staff regarding a lost and found item saw the hotel’s engagement skyrocket 4,000%. As the hotel is not a client of Milestone, we can not say if the posts were boosted with advertising dollars, but even if the posts had spend behind them it was incremental compared to the amount of exposure and engagement. Not to mention, Jellycat was reunited with it’s three year old owner at the end of the day. A mistake can be turned into something great! You love the view from the roof, chronicle the changes of season from your favorite spot. Add seasonal drinks and food in the pictures to include the restaurant as well. Many could not resist this image, from Hotel Nikko San Francisco, a Milestone client.